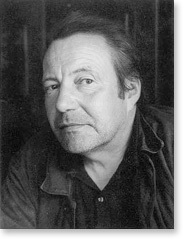 The French writer Georges Perros (1923-1978) first became known because of his touching autobiographical poems, collected in Poèmes bleus (Blue Poems, 1962) and Une vie ordinaire (An Ordinary Life, 1967). His three-volume notebook, Papiers collés (Paper Collage, 1960, 1973, 1978), continues to enjoy a cult status among French readers because of the author’s sardonic maxims, vignettes, short prose narratives, and philosophical remarks. The three volumes are still available in a Gallimard paperback edition.